Center Hardware moved to a new Dogpatch location after 30 years of business in Potrero Hill, SF. They hired me to create signage for their new location. We decided on a classic black and white based on their existing branding and created a look that was consistent throughout the store. 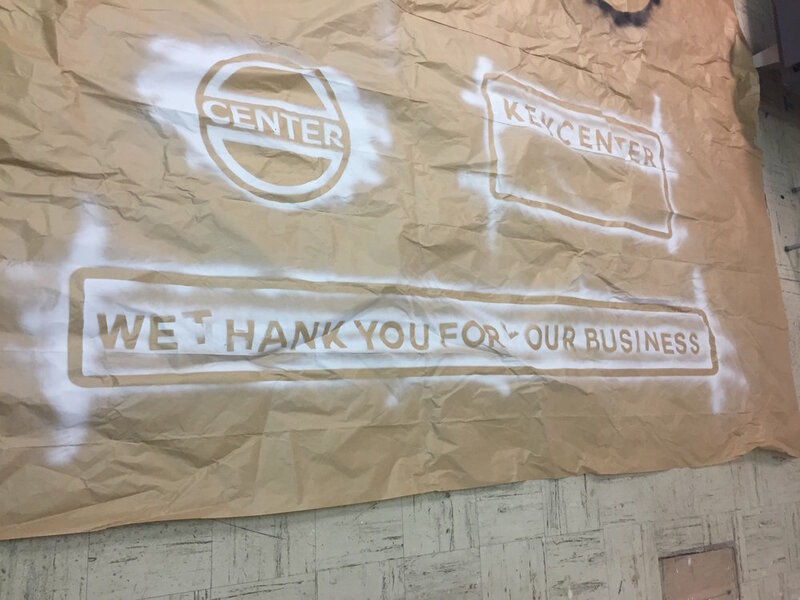 The first sign requested was above the exit door, so I chose a simple message saying "We Thank You For Your Business". 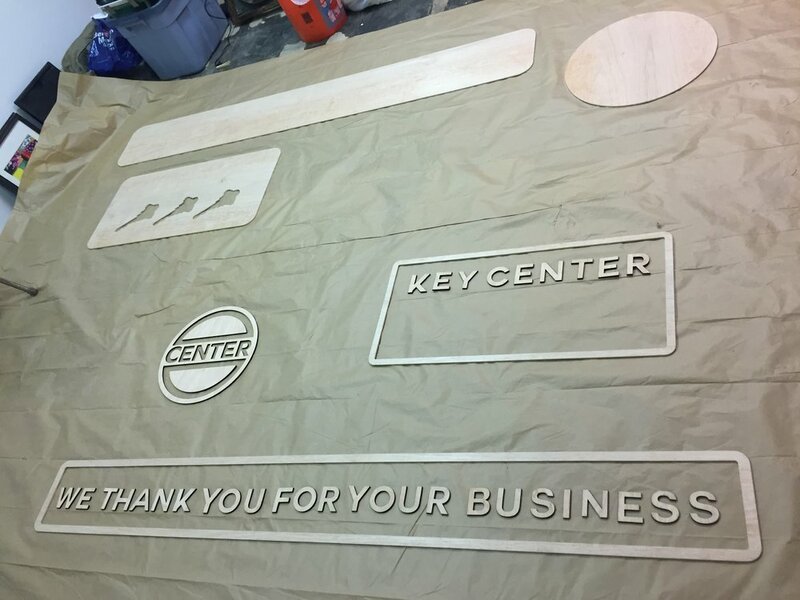 I designed the components in Adobe Illustrator and then cut pieces on a Universal laser cutter and Shopbot CNC. Because the sign was in production during San Francisco's rainy season, I spent several days painting the components in eggshell black and gloss white. With the help of some co-workers, I hung the sign a few hours before the store's Grand Opening celebration. 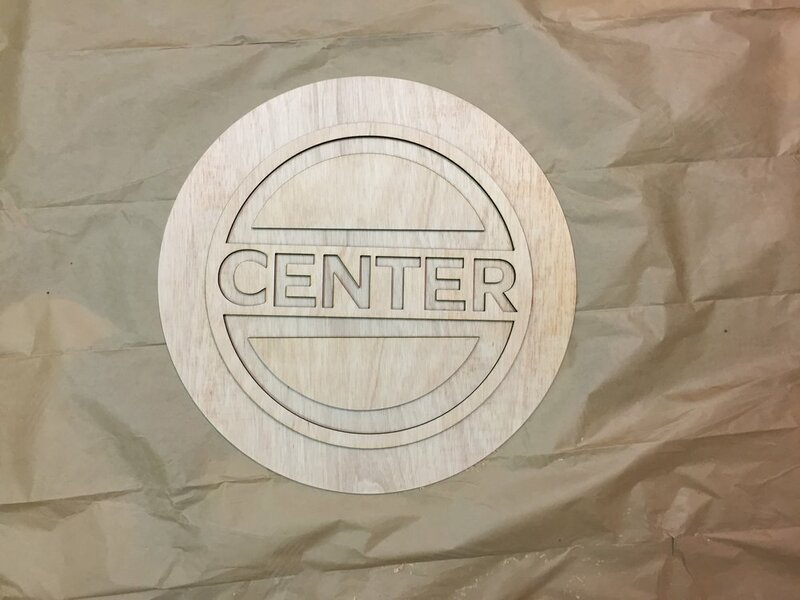 When Center Hardware opened in their new Dogpatch location, customers were having trouble figuring out where the checkout counter was. Management solved this problem temporarily with whiteboards, but a more permanent solution was needed. I created free-standing signs so that they could be moved to other spots in the store if necessary. The posts were made of PVC piping and connectors, which slid into MDF bases. Plumber's putty secured the posts into the bases and then were finished with brushed metallic spray paint.